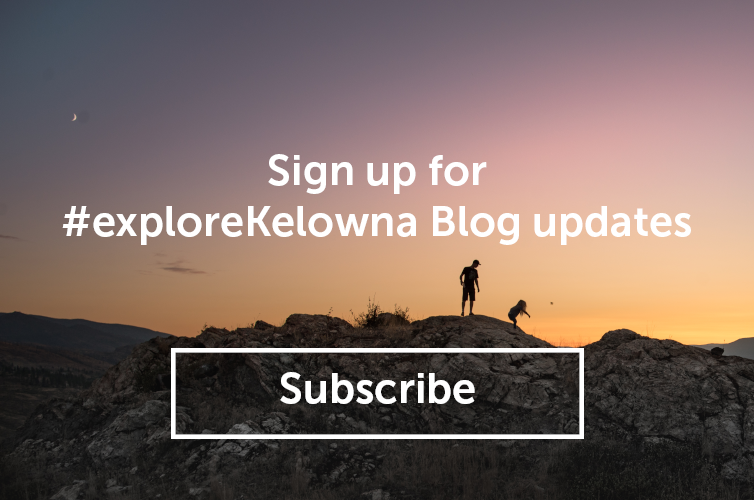 Walking among the vines with a glass of wine in hand or dining in the cellar among the tanks are just two of the many wine country experiences you can have when you host your event in Kelowna. Our local wineries offer incredible food, great wines, unique event venues, and views that impress any group. Host a cocktail reception, a long table chef’s dinner among the vines, breakout sessions, chef-led cooking classes or a multi-course, wine-paired dinner - all is possible. Whether your next meeting or event will have 5 delegates or 500 attendees, the following 5 wineries will wow your guests.Each winery is unique and will customize your event to ensure it’s a special experience with lasting memories. Summerhill is Canada’s most visited winery, certified organic and biodynamic and one that offers many unique experiences. Consider their replica of the great pyramid or on-site heritage house for an unforgettable dinner, reception, or tour. 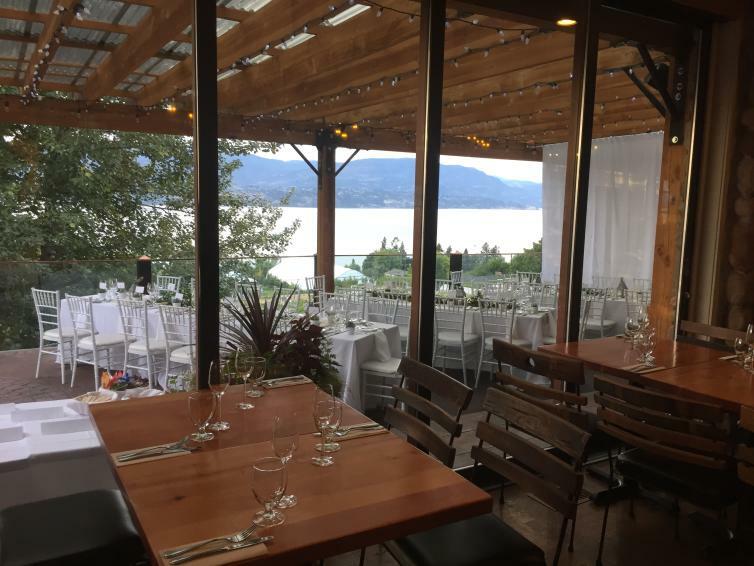 Experience the stunning views from Summerhill’s Organic Bistro or one of their other venue options which include the Summerhill Pyramid, the Vineyard Ballroom, the Heritage Lawn, and the Vineyard Lawn. 50th Parallel has been thoughtfully designed with unique guest experiences in mind. From world-renowned architecture to perfectly situated vineyards and public spaces with unobstructed views of the lake, you and your guests will leave with “unparalleled memories” that will last a lifetime. In spring 2018, 50th Parallel Estate will open its stunning new hospitality space to offer even more location options for your corporate functions, conferences, and private events. These locations include their Indoor and Outdoor Private Dining Areas, Private Meeting Room, Event Hall, Gravity Water Lounge, Infinity Event Pad, Winery Crush Pad, and Winery Tank Hall. Mission Hill is world-renowned for its award-winning wines, stunning setting, dramatic architecture, and Terrace Restaurant. Majestic mountains, scenic lake views, and lush orchards encase the winery&apos;s dramatic building and vineyards and culminate in a setting that celebrates wine, food, and art. With sustainable practices that ensure care for the environment and a timelessness that respects the family&apos;s European heritage, guests enjoy elevated culinary experiences and the height of winemaking in an incomparable mountaintop winery. The venues available include their Outdoor Courtyard, Culinary Theatre, Chagall Room, Visitor’s Centre, and the Loggia covered outdoor area with views of the lake and valley. This urban winery’s design is inspired by the industrial heritage of its downtown Kelowna neighbourhood. The space is modern and light-filled, with soaring ceilings, and reclaimed 80-year-old wood beams. The Tasting Room is anchored by a large glacier sculpture that pays homage to the Okanagan Valley’s natural geological features and glacial history, which give the region its ideal grape growing conditions. The Sandhill Tasting Room is a large capacity open concept contemporary space with skylights and floor to ceiling front windows. Sandhill is the Central Okanagan’s first Urban Winery, making it a convenient walk for your guests to access all of the amenities of downtown Kelowna. Venues available include the Tasting Room and Small Lots Barrel Room. As one of the most photographed wineries in the valley, the picturesque setting at is perfectly paired with the exceptional wine and culinary experiences they provide to guests. From the panoramic vineyard, lake and mountain views, to the exemplary service and award-winning food and wines, their team will ensure you and your guests have the most memorable experience possible. The spaces available for hosting events include the Boardroom, the Old Vines Restaurant, and the Stewart Family Private Dining Room. In addition, their lakefront accommodations “The Lake House” and “The Nest” are also located on site and available for meetings and events.